Quartz Kitchen Countertops are man-made Countertops, produced by combining 93% ground Quartz and 7 % polymer resins. Quartz ranks 7th on the Mohs Hardness Scale, thereby endorsing its hardness strength. 1. Quartz Countertops in your kitchen can help you to keep your kitchen 99.9 percent bacteria free. Quartz is a nonporous material and hence, these surfaces prevent the growth of bacteria and mold. 2. Quartz is durable and stain-resistant. These Countertops are very easy to clean. You can clean it by spraying a window cleaner and wiping off with a microfiber cloth or a paper towel. 3. Quartz Countertops need no sealing because Quartz is a non-porous material. 4. Quartz is safe for indoor use and is environmentally friendly. 5. 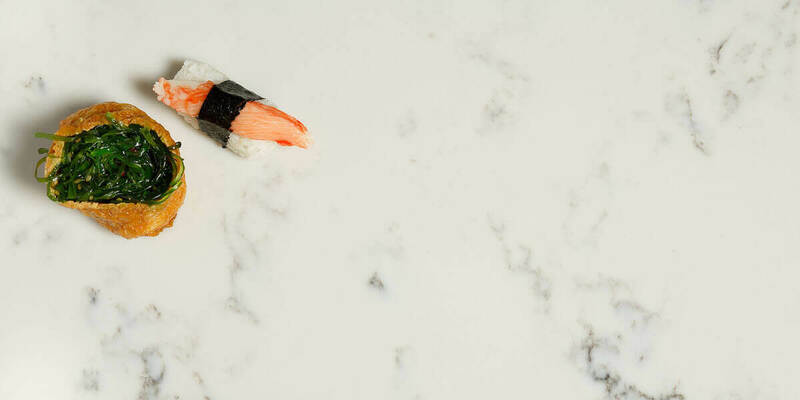 As Quartz is a man-made material, these Countertops are available in a wide range of colors. Note down the measurements required for your Kitchen Countertop. You should doubly check the measurements before cutting the material to avoid any wastage. Quartz is best cut in sections. So, if you have an L shaped kitchen, cut two pieces that can be placed at right angles. Lay the cut Quartz on your Countertop to check if they fit perfectly. This allows you to work from above the space rather than below, which is more comfortable to work from. Cover your Kitchen Cabinet edges with painters tape to avoid any damages from adhesive spillovers. Cover the edges with adhesive and then place your Quartz on your cabinets. You can use painters tape for sealing the joints. 1. Wipe off the spills at the earliest. Some spills, if left unattended for a long time can permanently damage the Countertop. Hence, clean the spills without a delay when noticed, with a wipe. 2. Avoid exposing the Countertop to extreme temperatures. Quick temperature changes can damage the Quartz Countertop. You can use mats and coasters for hot pans and hot drinks. Though, Quartz is scratch-resistant, it is not scratch proof. It is best to use the cutting pad for cutting and slicing. You can clean Quartz Countertops with a mild detergent and water. Harsh cleaners can cause more damage than help. 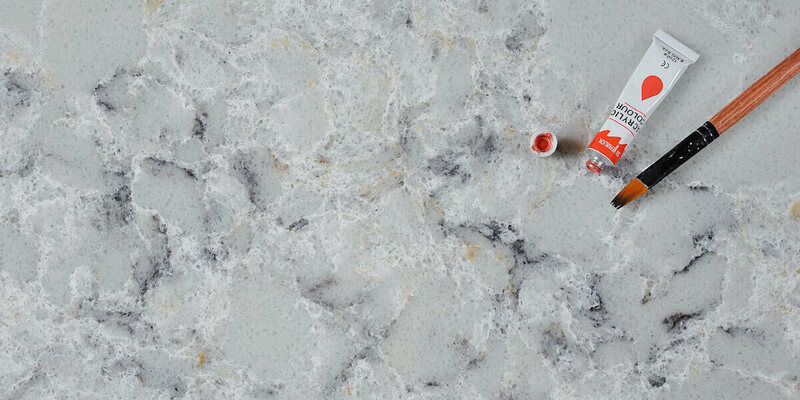 In the recent years, Quartz Countertops have gained wide popularity due to its durability and availability in wide range of colors. So, if you are looking for an extremely hard, durable, non-porous, stain resistant, and scratch resistant Kitchen Countertop, then Quartz Kitchen Countertops are the perfect choice for you. This entry was posted in Quartz Countertops and tagged custom quartz countertops, quartz countertops, quartz kitchen countertops.